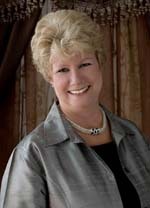 Dee Davey has been a resident of Mansfield Texas for 40 years and served the real estate industry for 38 of those years. As a GRI, CRS, SRES, QSC and ABR designated Realtor, a lifetime has been dedicated to learning and teaching the business. Dee is a TAR instructor, and is amoung the top 2% of the agents in the area.